SPECIAL OLYMPICS — JOSEPH CHUNG. is a global movement that unleashes the human spirit through the transformative power and joy of sports every day around the world. It empower people with intellectual disabilities to become accepted and valued members of their communities, which leads to a more respectful and inclusive society for all. Using sports as the catalyst and programming around health and education, Special Olympics is fighting inactivity, injustice and intolerance. 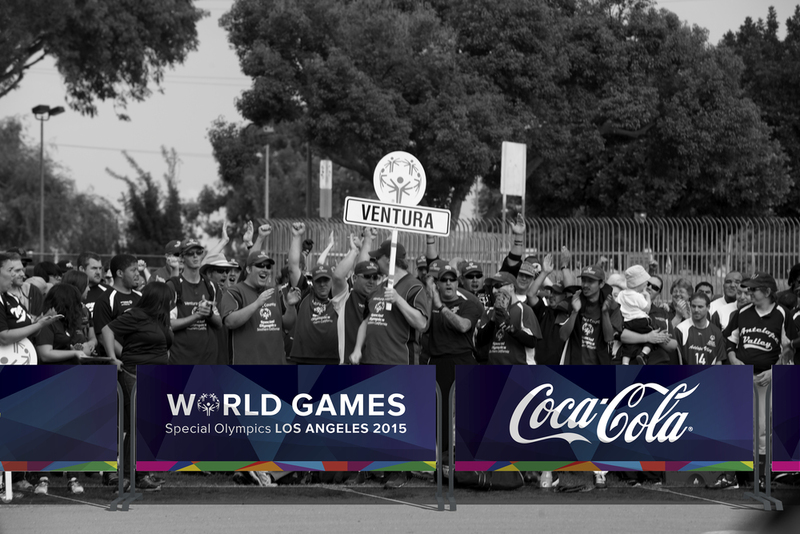 At the heart of the experience, it is about embracing individual athletes and getting to know their stories on the road to the Special Olympics. It is about creating opportunities for people without intellectual disabilities to engage with people with intellectual disabilities. 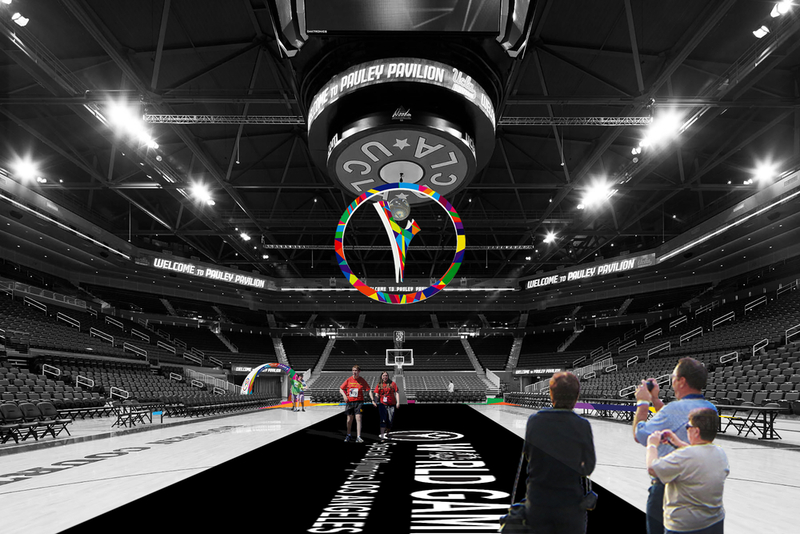 It is about creating awareness and inspiring the next generation of the Special Olympics movement. But most of all, it is about having a unforgettably amazing time. The information desks provide answers to visitors’ inquiries and questions, as well as house promotional and informational pamphlets and small maps for distribution. 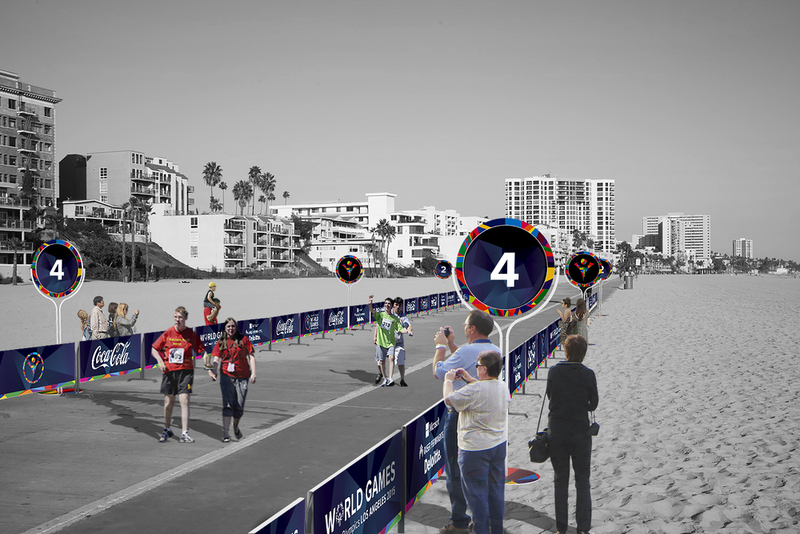 They are the main source of information for spectators. The awning, shade structure is inspired from reach-up gestures. It also takes some of its structural form language from the arch structures. Inside the awning, there is to be a lighting fixture which will make the information desk glow at night. 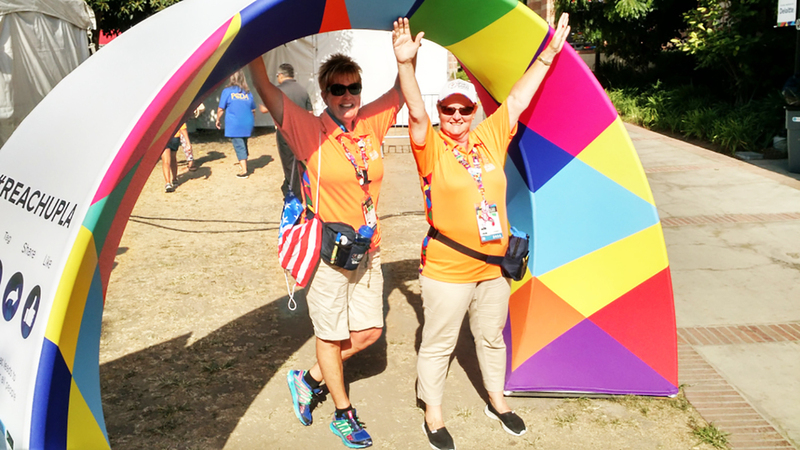 The Special Olympic tents will be placed within the designated main tent areas with a few scattered throughout high activity centers. 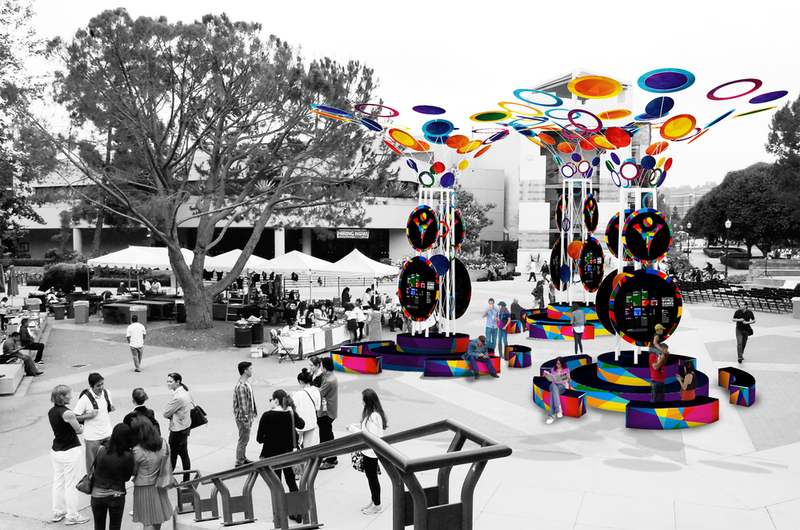 These tents and their dome shape, inspired by the circle of inclusion, represent unity, inclusion and empowerment. 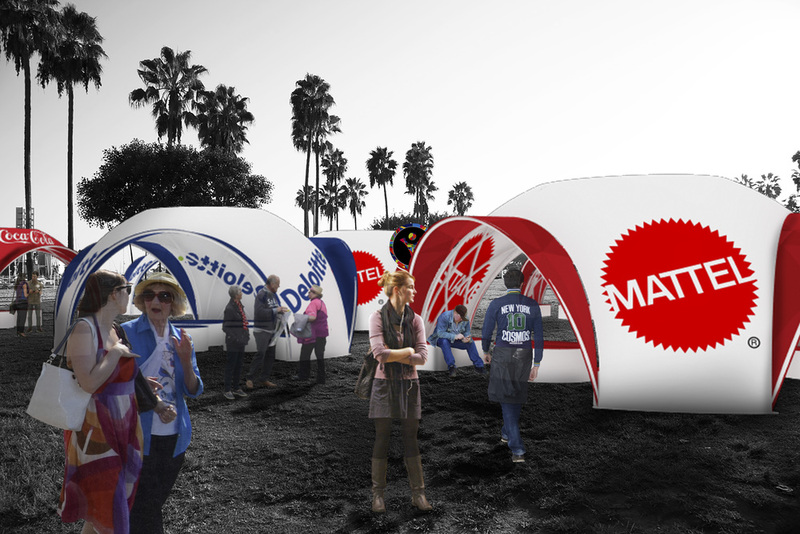 These tents act as gathering hubs for people to come together and interact with one another. The tents afford a shaded respite for athletes and spectators. 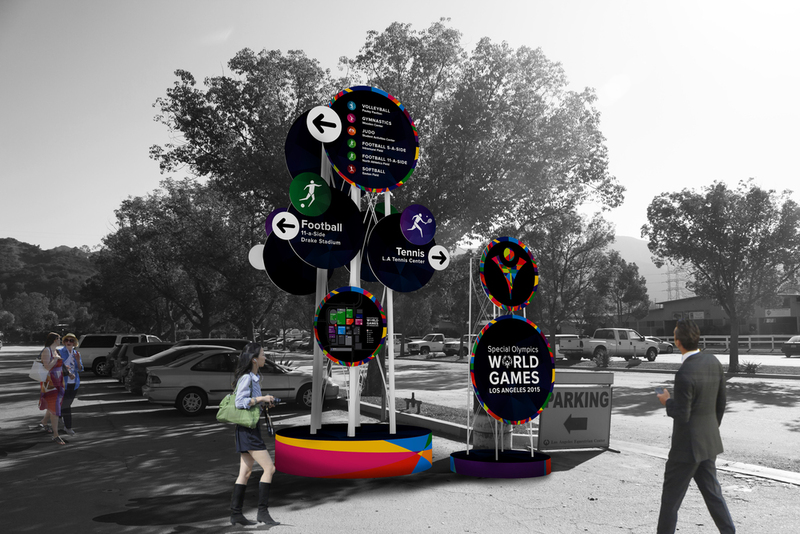 Within the tents, they will be broadcasting current game scores, athlete stories and other applicable information. Their main purpose is to house a fun interactive experience/lounge space but they can also double as medical tents, guest lounges and any other program that might require a little bit more privacy than the open outdoors. Inside the tents there will be a small variety of seating options which will help foster unification and comfort. The dome structures are created using a lightweight aluminum structure covered in stretched printed fabric. 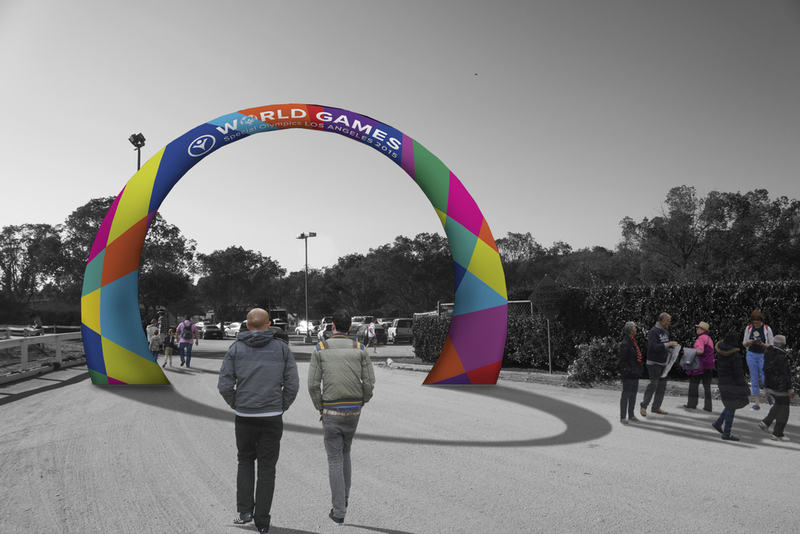 The white background provide a suit- able background which makes the World Games logo pop.